It's very easy to make cards and projects when you have lots of punches, stamps, patterned papers and equipment to choose from. But sometimes having too many "crafting things" can be a barrier to creativity. Where do you start with so many options? Some time ago I ran a frugal workshop where equipment was limited. It was designed for beginners who wanted to try before they invested in the endless and bewildering supply of inks, paints, pastes, gels, stamps and dies. We made scrap books using things they already had around the house - card, string, scissors, glue and photos they brought with them. By the end of the day we had ripped edges, glued string into circles to make embellishments, layered mats for photos and made personalised books everyone was really happy with. They glowed with pride at their creations! So this post and video is for beginners or experienced souls who want to get back to basics. There are two parts to this post because there are two cards. The first is made using only two colours of card, scissors, glue. 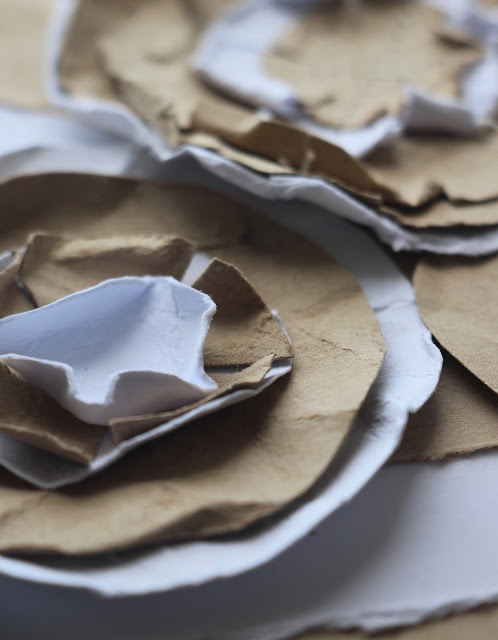 I'll show you how to make two different flowers one glued and one sewn if you fancy that. 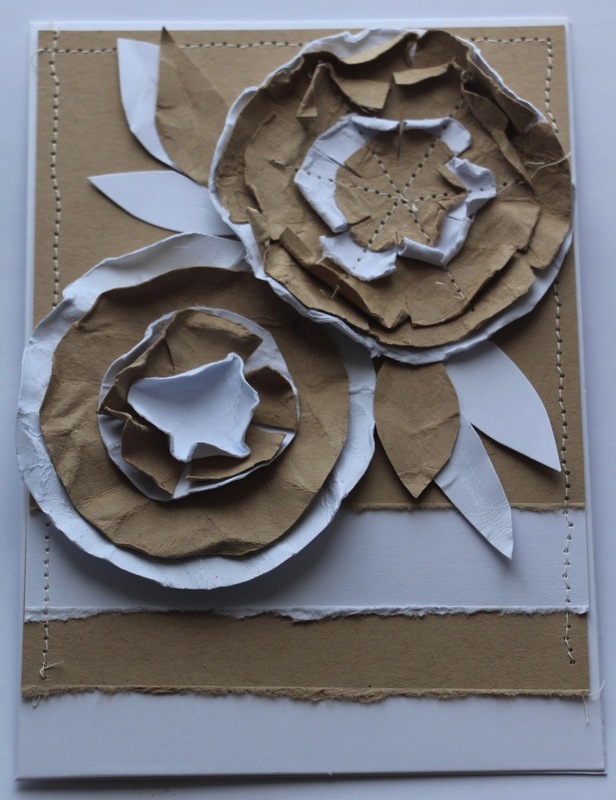 The second card which I'll post soon advances on the basics of the first slightly and shows how to use edging punches and flower cut outs to get lots of dimension and layers.